The coffee subscription box industry is a fiercely competitive arena. With so many impressive offerings available, the process of choosing the best coffee subscription can sometimes feel daunting. 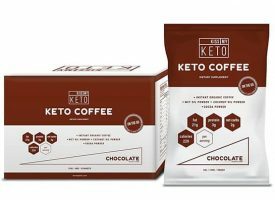 Our coffee subscription reviews are intended to help coffee lovers of all types find the subscription that matches their taste profiles. In continuing with this series, we recently came across Atlas Coffee Club. 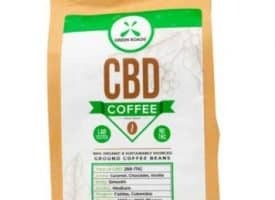 We reached out to them and they kindly agreed to send us samples in exchange for an unbiased Atlas Coffee review. Atlas Coffee Club sources exotic single-origin beans from all over the world. 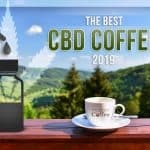 This is relevant because generally speaking single-origin beans as opposed to blends will make for a higher quality brew. 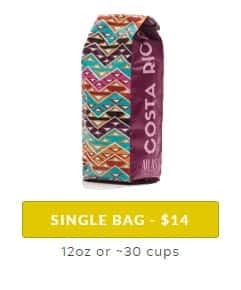 After a discriminating roasting process, Atlas Coffee then delivers the fresh coffee right to your door in a vacuum sealed bag. 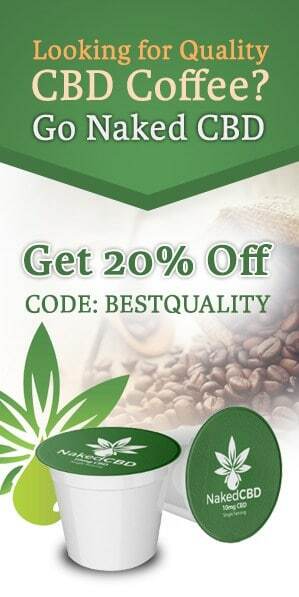 This is one of the only coffee subscriptions that offers a freshness guarantee. If you're not happy with the freshness, they'll send you a new bag for free. The coffee they send you cannot be bought in stores which greatly appeals to the coffee adventurer in me. 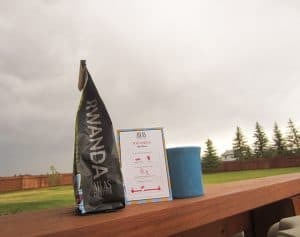 For this Atlas Coffee review, I was fortunate to receive an exceptional offering hailing from the Nyakizu region of Rwanda. Atlas Coffee uses an neat little box to hold a classy, artistic fresh pack of beans. The origin country, Rwanda, is boldly printed along the side seam that wraps to a colorful barrage of plants, mountains and sunrays. Just how I’d like to imagine the far-off country that grew this coffee. It was refreshing for me to discover that Atlas Coffee thinks it's important for the consumer to know a little about their coffee and its history. 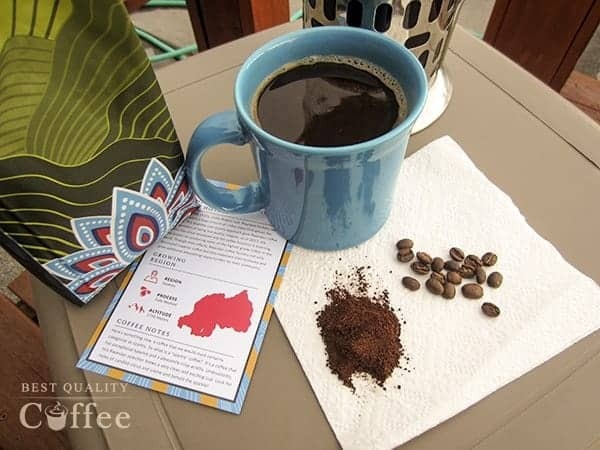 They include a two-sided smartly printed info card and an elegant post card, specific to the coffee and the country. A classy and worthwhile touch, I might ad. 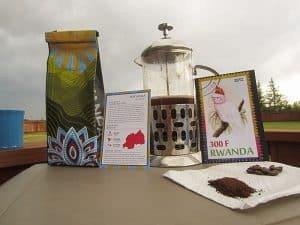 Learning about Rwanda’s coffee growing history along with a few tasting notes simply fills out the experience and enjoyment I hope for with a new coffee. The raw bean was on the petite size and noticeably drier. It had a markedly pleasant taste where I noted a hint of fruit. Atlas categorized the roast level more on the light side and I could see that designation was consistent with the milk chocolate colored bean. I had no problems adjusting the grind; that is, using my stovetop brewer I got a medium fine grind. Interestingly, I again detected a slightly sweet aroma from the fresh ground as I did from the bean. Once brewed, the first sip instantly provided a lovely sweetness that ended in a well-balanced aftertaste. 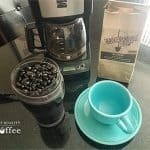 For me, a true high-grade bean is one that emboldens the distinct flavors of the coffee while avoiding acidity or bitterness at the end. Atlas Coffee's Rwanda does just that. 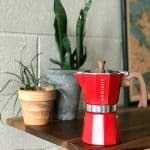 Over the next few days, I used fresh ground Rwanda in my drip maker and French press, adjusting the grind accordingly. 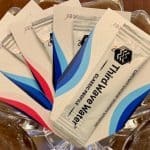 I repeatedly relished that slightly sweet initial flavor, like a candied nut, that fell into a light smack with an even breath of butter cookie. What I liked the best about Rwanda is the consistently complex, but light flavor that precedes a lasting feel in the mouth. I usually enjoy coffee in the mornings or evenings. 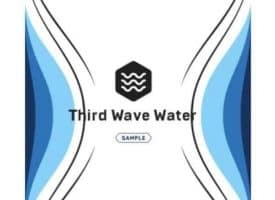 In the latter time, I tend to look for something lightly refreshing, but substantial and robust enough with each sip to give me the experience I'm looking for. Atlas Coffee's Rwanda Roast filled the bill in full. One evening from my deck I watched a thunderstorm build along the mountains. I felt the cool air and smelled rain but remained out of range of the storm. It was one of those surreal moments where I found myself in the perfect setting to match the flavor of my last pot of Rwanda coffee. I felt the cool air while savoring the taste of subtle fruit. I smelled the moisture in the air while savoring a butter crème flavor. No wind and no bitterness. No rain and no acidity. It was the balance I was looking for in the flavor and the storm. 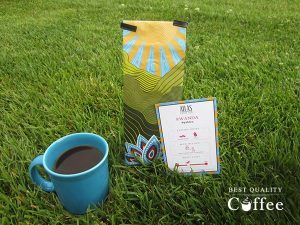 In concluding this Atlas Coffee review, it's apparent that the company takes great pride in sourcing premium high-grade coffee. More so, they seem intimately familiar with what each type of bean offers and approach the art of flavor as true connoisseurs. 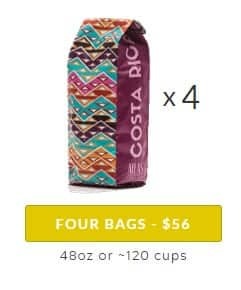 There are many coffee subscriptions out there that offer great coffee. 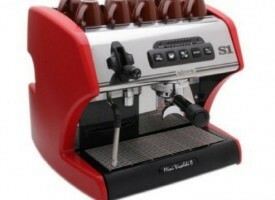 However, Atlas Coffee Club goes beyond that providing a true first-class and multi-sensory coffee experience. 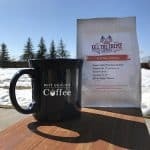 Atlas Coffee Club offers a number of subscription options to match your coffee consumption. Customization is key when we're talking about coffee subscription boxes. 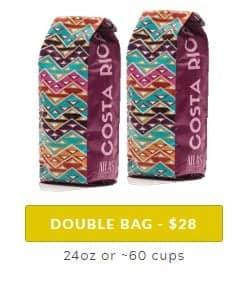 Atlas Coffee Club allows you to choose your roast preferences along with how many bags you want sent and how often. Their pricing options are included below.